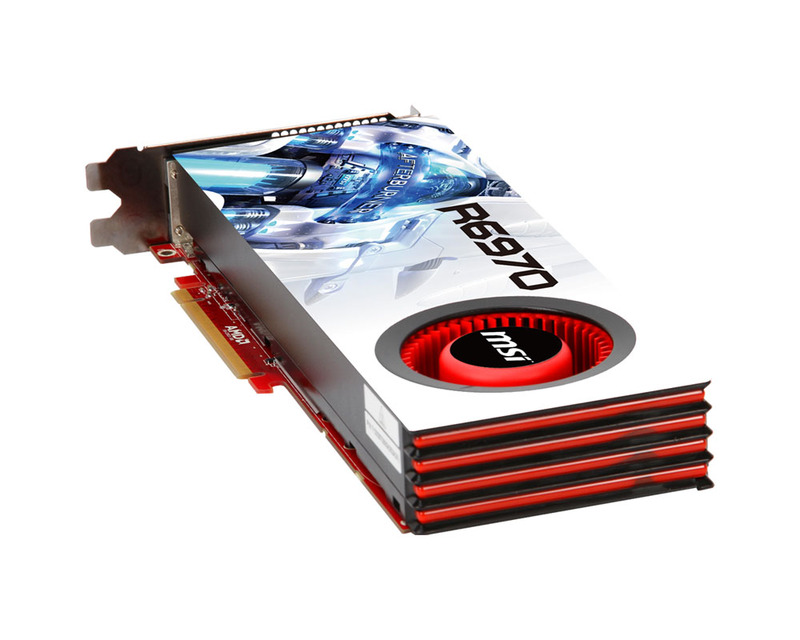 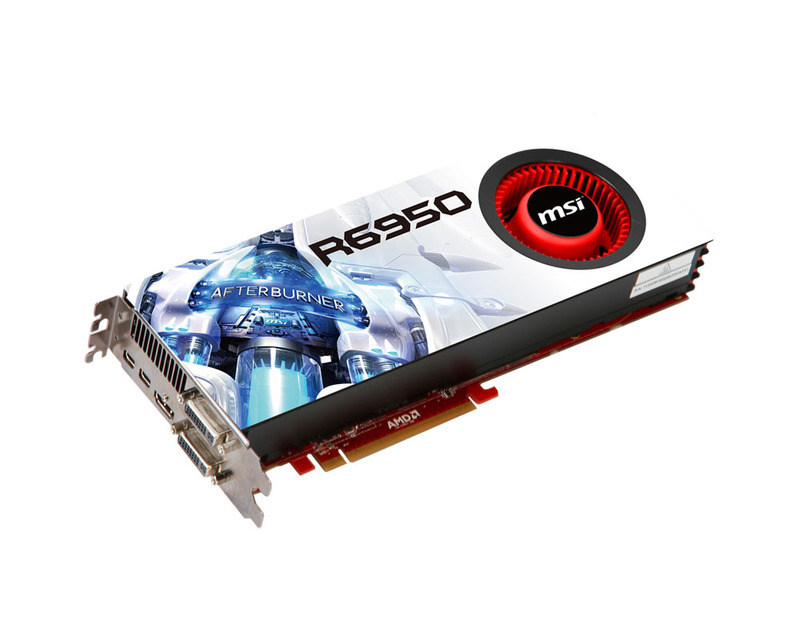 Micro-Star Intl Co unveils its own Radeon HD 6950 and HD 6970 graphics cards based on AMD’s flagship HD6900 GPU and on specially marked packages can receive a free Advanced Version of 3DMark11. 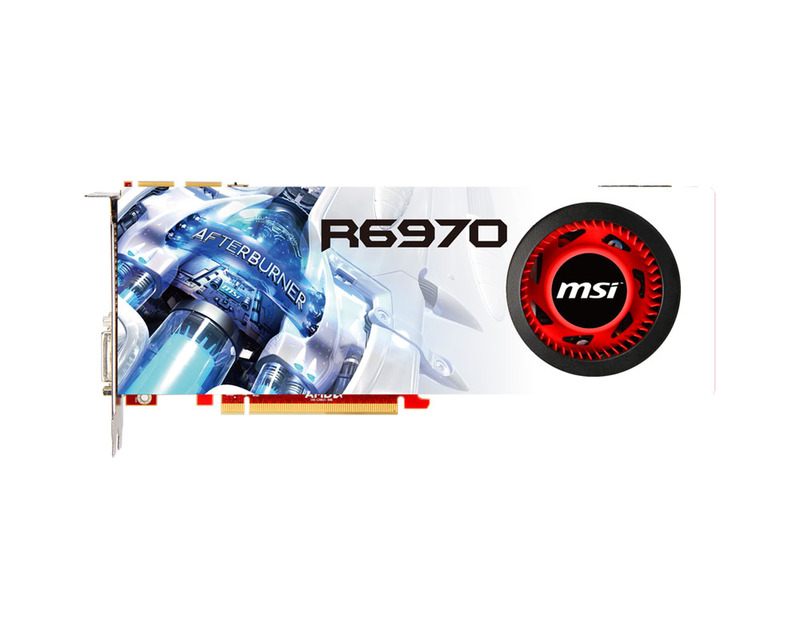 Both MSI’s cards, the R6970-2PM2D2GD5 and R6950-2PM2D2GD5 comes with GB GDDR5 have 1408/ 1536 Stream Processors and GPU/memory clocks of 800/5000 MHz for R6950 and 880/5500 MHz for R6970. 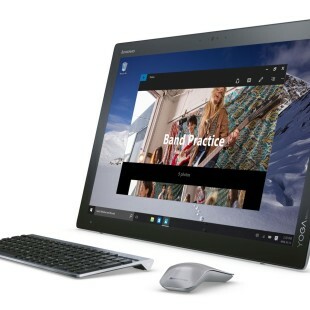 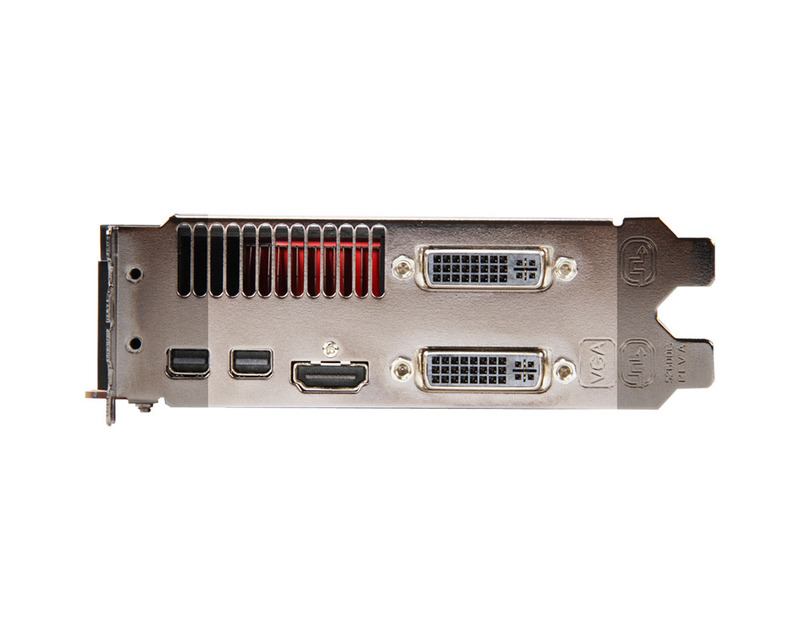 Support next-generation DisplayPort 1.2 and HDMI 1.4a interfaces with stereoscopic 3D capability, as well as 7.1 channel TrueHD and DTS-HD audio formats, as well AMD Eyefinity multi-screen display technology for up to four screens. 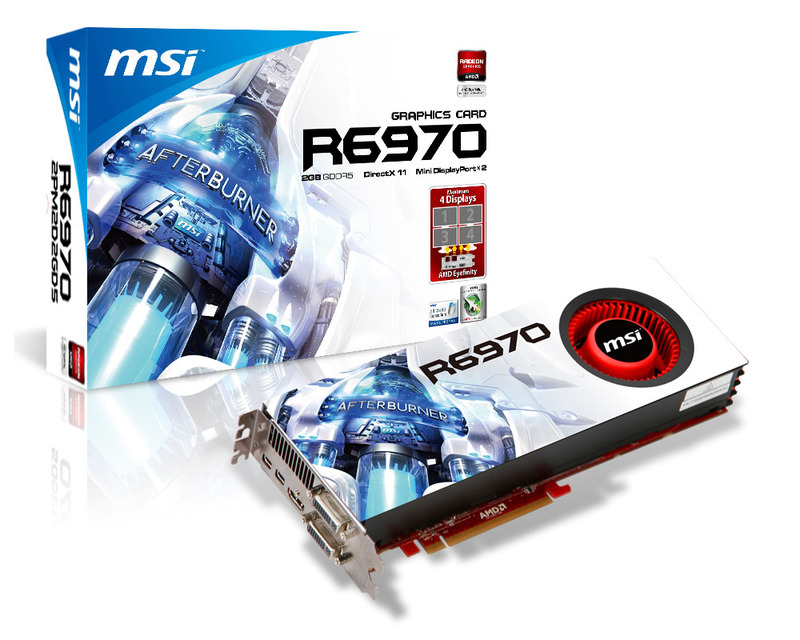 The card also comes with MSI Live Update which automatically download and update the BIOS and driver when there’s a new version online and MSI’s Afterburner overclocking software that allowing also real-time monitoring of GPU temperature, core clock, voltage, and adjustment of fan speed.